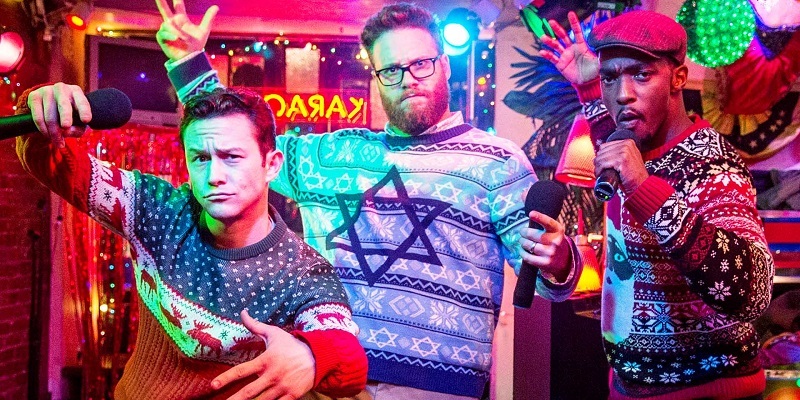 In 2001, Ethan (Joseph Gordon-Levitt) lost his parents in a car crash just before Christmas, so in an effort to lift his spirits his two best friends, Isaac (Seth Rogen) and Chris (Anthony Mackie) took him out on Christmas Eve for a night of awesome times, and it was then that Ethan first heard about an elusive and mythical secret party known as the Nutcracker Ball. The trio celebrated this night every year until, fourteen years later, they decide to celebrate one last time before Isaac becomes a father and Chris’ career as a professional American footballer takes off. As the first non-Batman Christmas film of the year (and so far the only one, jeez) I feel I could have done worse, but also better. This is a fairly straightforward comedy with good chemistry between the leads and some mid-range cameos, plus a stellar supporting role from Michael Shannon as the guys’ weed dealer, Mr. Green. It lacks focus in some areas and goes too far in others – Chris’ steroid use seems tacked on late, whereas Isaac’s night of drug-fuelled lunacy is never funny for me and often stupid, whereas Ethan’s story is aimless and meandering between his desperation to see this hallowed party, sort out his failing life – his musical career never took off and he’s currently working as a department store elf – and get back together with his ex Diana (Lizzy Caplan), plus Mindy Kaling is in quite a lot of the film, and I’m not a fan. Overall I enjoyed the film, but it’s not a must-see and not something I’ll ever go back to again. I approve of the rhyming narration though, but I just wish it wasn’t being spoken by Tracey Morgan. I’m pretty sure this is the only 2016 release that I’ve seen twice. Aisha missed it at the cinema, and I was more than happy to give it a second viewing as it’s easily one of the most entertaining films I saw this year. 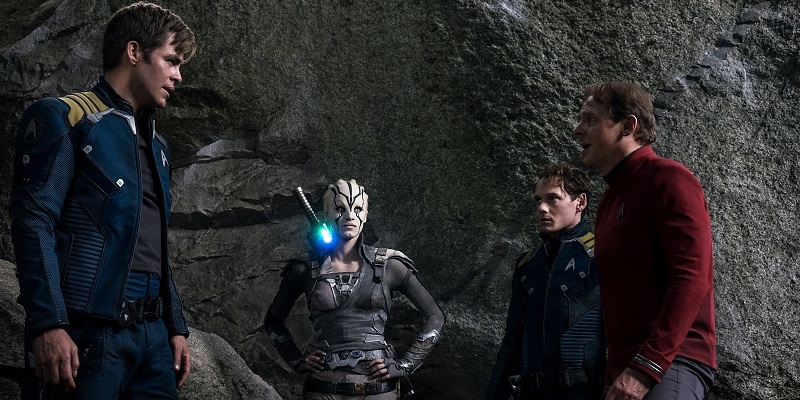 The cast have all found their character grooves, Simon Pegg did a great job with the script (Even if in the process he gave himself far more to do than he otherwise might have), the new inclusion of Sofia Boutella’s Jaylah is fun, spicing up some of the dynamics and adding potential developments for sequels, and some of the set-pieces are innovative and interesting, most notably the attack on the Enterprise. Only Idris Elba’s villain, Krall, is a weak point, but I enjoyed everything else so much that I can let that slide. Possibly my favourite Star Trek film of the most recent three (otherwise known as the only Star Trek films I’ve seen), but it’s a close race as I really like them all. Read my first impressions here. A five-year-old boy – I forget his name – is stranded in the woods when his parents are killed in a car crash. He miraculously survives with the assistance of a gigantic dragon that the boy names Elliot and, six years later, is a Mowgli-like forest-raised wild boy (Oakes Fegley) who gets discovered by a lumberjack crew including Karl Urban and Wes Bentley, and taken in by forest ranger Bryce Dallas Howard, whose father – Robert Redford – tells stories of once seeing a dragon in the woods when he was younger. I’m pretty sure I’ve never seen the 1977 animated version in its entirety, so I didn’t know what to expect with this, but the best I can say is that it’s fine. 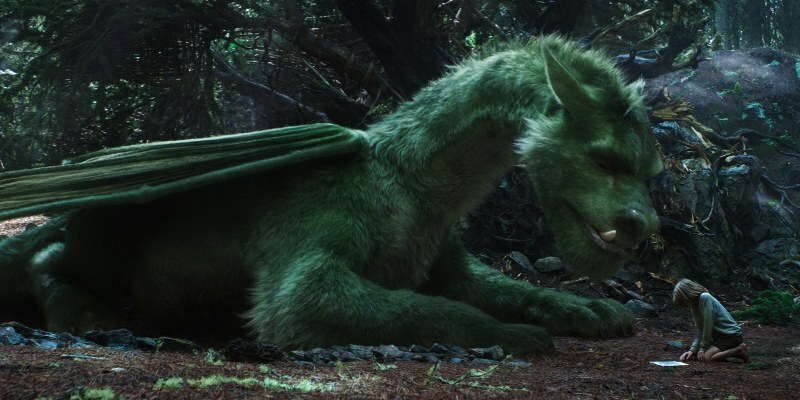 There’s nothing really wrong with the film, it’s solid family viewing, but the only place it really excelled was the character design of Elliot, who is depicted essentially as a dog, who just happens to be the size of a fire engine and is covered in green fur, and he has wings. There were a lot of similarities between Elliot and my dog, Murphy – particularly his pose when he wakes up – which was very amusing, but this is otherwise a very middle-of-the-road piece. Lambcast #353: Rogue One: A Star Wars Podcast I was joined by Rebecca Sharp, Heather Baxendale, Jeanette Ward, DJ Valentine and Robert Zerbe to discuss in full spoiler-filled detail the latest Star Wars movie. It was a very entertaining discussion offering a variety of approaches to the Star Wars fandom, and it’s a recommended listen to anyone who has already seen the film. This entry was posted in My Week in Movies and tagged Pete's Dragon, Star Trek Beyond, The Night Before by jaycluitt. Bookmark the permalink. I love all those red no’s. Who’s ever really on track?